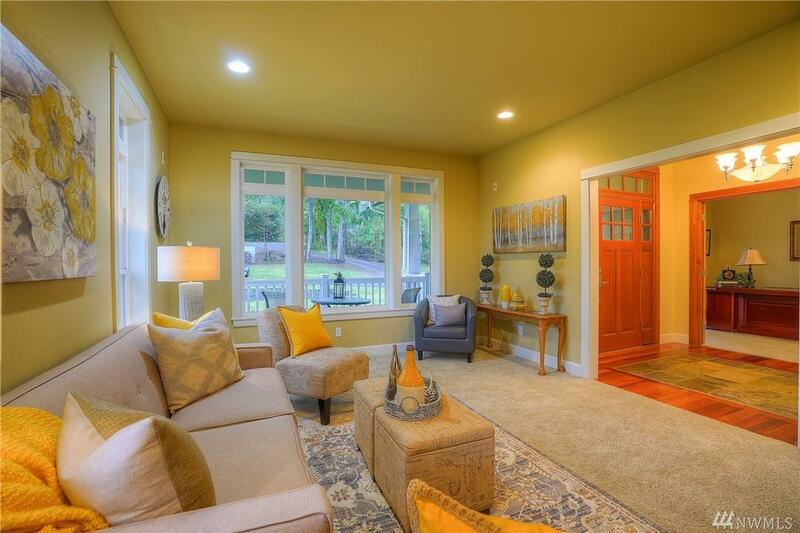 Custom-built daylight rambler on 2+ acres, close to amenities. Circular drive thru trees leads you home. Entertaining chef's kitchen features a 42' gas range/double oven, quartz island, perfect for big or cozy gatherings. 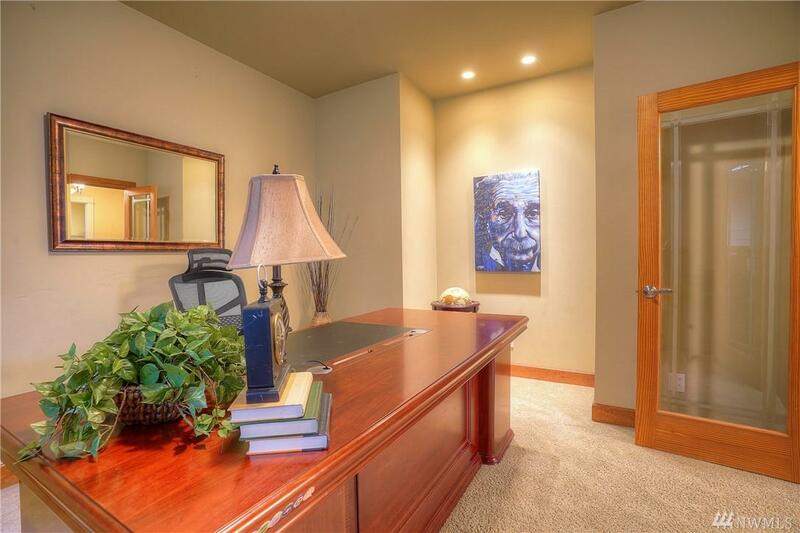 Great room w/vaulted ceilings & wood-wrapped windows bring in abundant light. 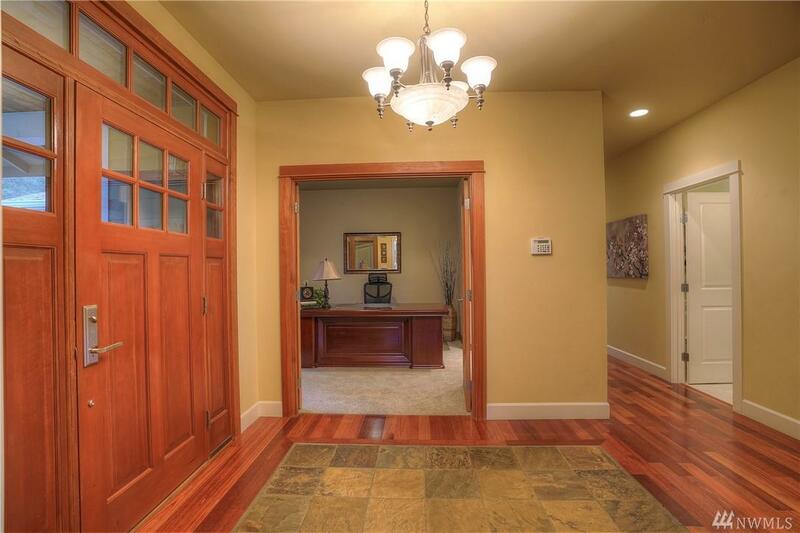 So much detail & extras-gorgeous cherry floors, french doors, main floor master w/walk-in shower. 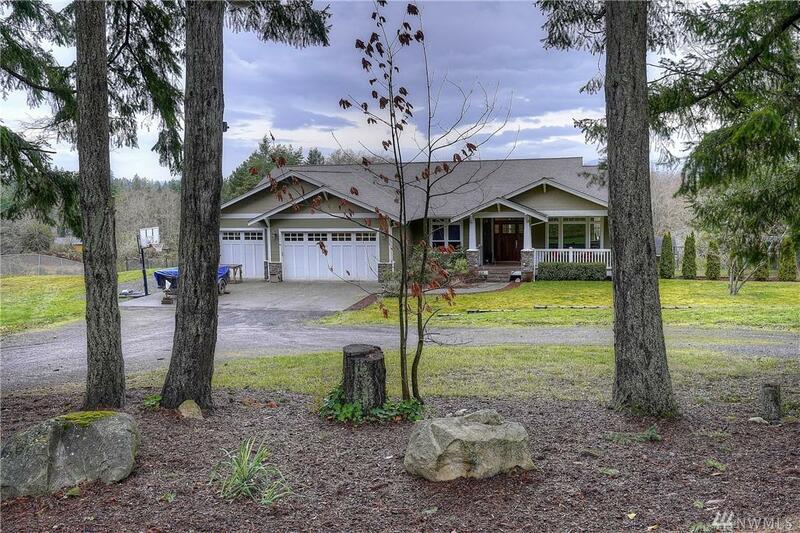 Mtn views & full length deck w/393 sf covered. Everything you're looking for & more!